I Retired - Do I Still Need Life Insurance? Somehow we don’t say this about other types of insurance. No, as a matter of fact, you’d probably feel quite relieved that you had ten safe years, and never had to deal with deductibles or claims adjusters. Life insurance is different because we are all rather attached to our lives. What you must remember is, as strange as it may sound, life insurance is not bought to insure your life. After all, your life is priceless, and no amount of money would be enough to insure it. What life insurance is intended to insure is the financial loss, or hardship, that someone would experience should your life end. Most of the time the primary loss being insured is the loss of income. That means once retired, if income sources remain stable regardless of whether you walk this earth or not, then the need for life insurance may no longer exist. The following five questions will not only help you determine if you still need life insurance, they'll also help you figure out what amount of life insurance you may need, and what type may be right for you. Will someone experience a financial loss when you die? If the answer is no, then you don’t need life insurance. A good example of this would be a retired couple with a steady source of retirement income from investments and pensions where they chose an option that pays 100% to a surviving spouse. Their income would continue in the same amount, regardless of the death of either spouse. Even if there will be no substantial financial loss experienced upon your death, you may like the idea of paying a premium now so that family, or a favorite charity, will benefit from your death. Life insurance can be a great way to pay a little each month, and leave a substantial amount to a charitable cause, or to children, grandchildren, nieces, or nephews. It can also be a good way to balance things out when you are in a second marriage and need some assets to pass to your children and some to a current spouse. Think about your situation and the people who might experience a financial loss if you were to die today. What amount of money would allow them to continue without experiencing such a loss? It could be several years worth of income, or an amount needed to pay off a mortgage. Add up the financial loss over the number of years it might occur. The total can give you a good starting place as to how much life insurance would be appropriate. Will someone always incur a financial loss when you pass away? Probably not. 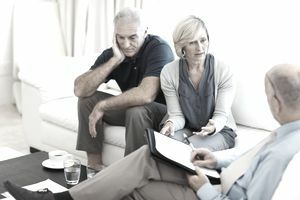 Of course, if you’re in your peak earning years when you pass away, and you have a non-working or low-income-earning spouse, it may be difficult for your surviving spouse to save enough for a comfortable retirement. But once retired, the family income should be stable, as it would no longer be dependent on you going to work every day. If this is your situation, then you only need insurance to cover the gap between now and retirement. Will the projected financial loss upon your death increase, or decrease, over time? The answer can help you determine the type of life insurance you should have. When the financial loss is limited to the gap years between now and retirement, then the amount of the loss decreases each year as your retirement savings grows larger. A term insurance, or temporary policy, is perfect for these situations. But if you own a thriving small business, and have a higher net worth, your estate may be subject to estate taxes. As the value of your estate grows, the potential tax liability gets larger. This financial loss increases over time. In this case, a permanent life insurance policy, such as a universal policy or whole life policy, although more expensive, will allow you to keep the insurance longer, providing your family with cash to pay estate taxes so the business does not have to be liquidated. Permanent insurance is also the right choice for any life insurance policy that you want to be sure pays out, even if you live to be 100. An example would be life insurance for the benefit of a charity, or to cover your final expenses. Couples in their peak earning years, saving for retirement. Retirees who will lose a substantial portion of the family income when one spouse dies. Families with a large estate and the estate will be subject to estate tax. Business owners, business partners, and key employees employed by small businesses.